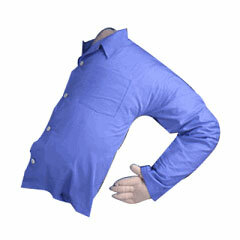 But there’s more to it. Kazemi has been very careful in his design. For instance, he is up-front about it being a bot, so he isn’t really trying to fool anyone into unwittingly becoming the subject of a Turing test. He could’ve patched his bot to his Twitter account, after all, and used the #GDC hashtag, but that would violate his notion of “basic bot etiquette” (a three laws of robotics for social media bots). This bot generates tweets from a template with variables for company names, bars, games, and Twitter friends that have opted in. And that is a key component. Kazemi knows GDC very well from attending it for the past 10 years. 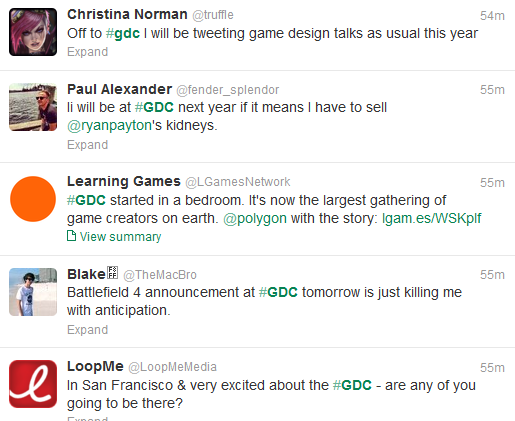 The data set for the bot is informed by titles of real sessions at the GDC. Its scheduling is fine tuned to post at irregular times during dates and times relevant to the GDC activities and consistent with a very active social life that includes board games with friends and plenty of alcohol consumption. The total effect is very consistent with the kinds of tweets generated by the event, as evidenced below. What Kazemi has created is a realistic performance of himself at this conference, one that can serve as an amusing way to fill that Darius-sized empty spot at GDC. It is a kind of placeholder, a reminder that he’s around, and wishes he could be at GDC, which might be just the reminder needed to keep him in the loop when something relevant to him comes up. It is also a kind of practical in-joke, since people who follow the bot and opt in to be included in occasional mentions will attract others, who might unknowingly follow the bot and even ask it questions (as has already been the case). Perhaps most importantly, this bot seems to be a critique at how vacuous the GDC Twitter stream seems to be— people might as well be bots. Is Kazemi attempting to elevate the conversation with a parodic performance of what not to say or do? Whatever the answer might be, @Darius_at_GDC has just woken up, after just a few hours of sleep. And he seems to have a full couple of days ahead of him. 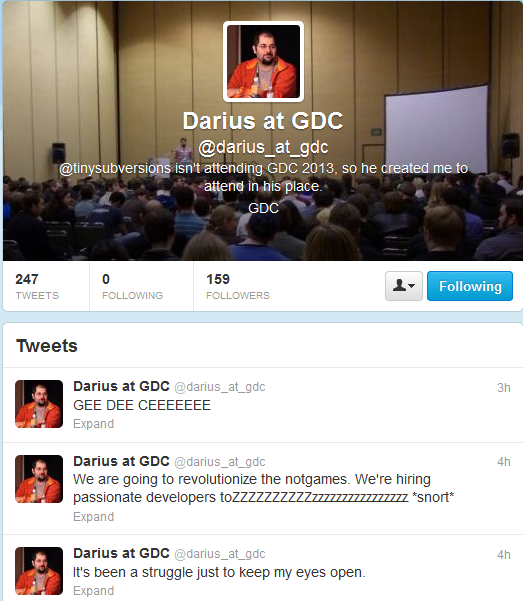 Have a good one, Darius at GDC!